This bed is the perfect décor piece for any space. 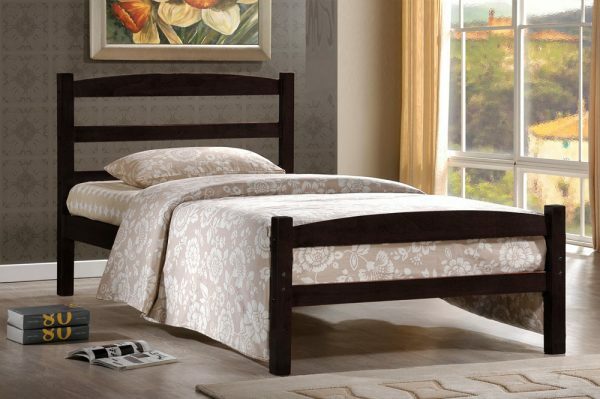 Simplistic, charming with a hint of tradition, this bed is a great bedroom feature. Dark Espresso Finish.